The Development Squad continued their unbeaten start to pre-season with a victory over Yate Town on Saturday. A healthy number of U18’s made the step up to feature for Chris Hargreaves’ side during Saturday’s encounter, with youngster Zain Walker providing a second-half winner to make it a successful outing for the Development Squad. Speaking after the game, Development Squad Assistant Manager, Brian Dutton, highlighted what the squad could take from such an encounter. “In terms of the result, we know the score isn’t imperative at this stage of pre-season, but it’s always nice to get another win on the board and to get into good habits,” outlined Dutton. “The squad blended together well in the circumstances. We had nine players on the bench, as well as a number of trialists, which is difficult, but the lads coped well in the conditions and we are fortunate to have good leaders amongst the group that help organise the team on the pitch when it’s required. “In the first-half, we ran through the set-pieces and in the second half with all the substitutions taking place, it unfortunately was a set-piece that we come undone against. Like we say to the players, it’s very much early doors in terms of the process of pre-season. We haven’t yet got a settled squad – that will come later down the line, ahead of the new season starting and then we can really tie down areas of our play. “The game was at a bit of lull when the found ourselves a goal down, but the substitute trialist has come on and with his first touch managed to find the net from thirty-yards! “The goal livened everyone up and helped us to control the play a little more. We created multiple chances and it was great for Zain to get on the scoresheet with the winner. “He’s a first-year scholar who has trained against the Development Squad with the U18’s and has shown good ability – so we gave him the chance and he took it by scoring the winner! 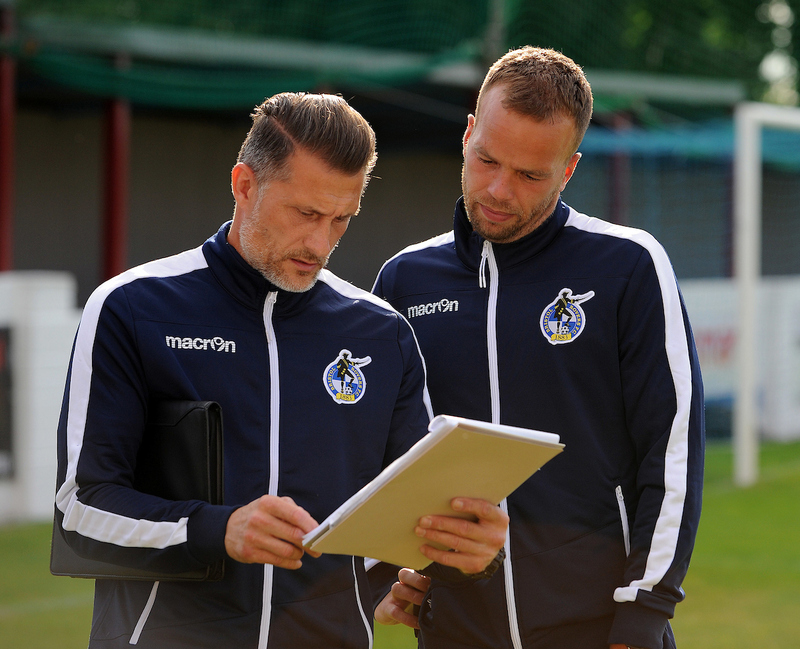 Focusing on the next instalment of the pre-season schedule for the Development Squad, Dutton suggested that Tuesday’s encounter with Weston would be a good test for the young squad. “Pre-season is a little bit of a marathon for the Development Squad this season – with little rest between games. “It will be a tough test on Tuesday. We will head to Weston and look to apply ourselves again. Ticket details for Tuesday’s Development Squad fixture against Weston can be found HERE.